Hello! I’m playing Hot Shot regular video slot at BlackJack Ballroom online casino app. 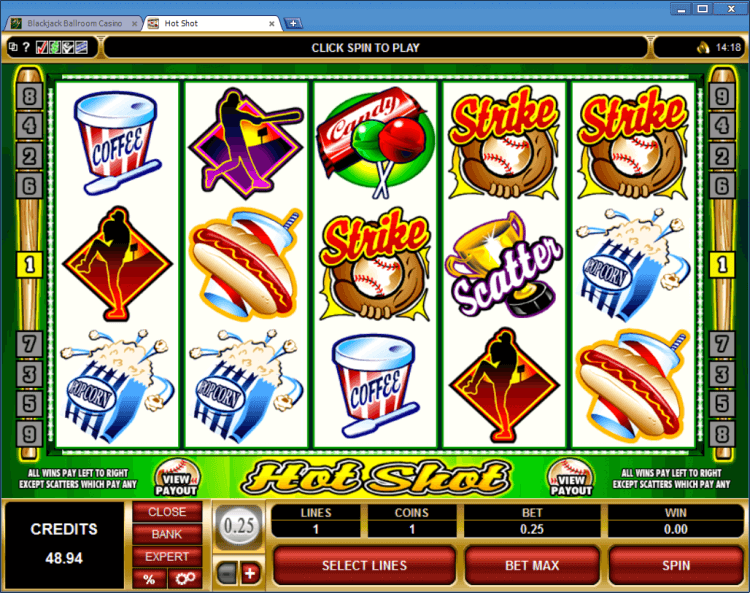 Hot Shot is a five reel, nine payline and nine coin slot machine. In this slot you can only bet one coin per payline. Malfuctions void all plays and pays. 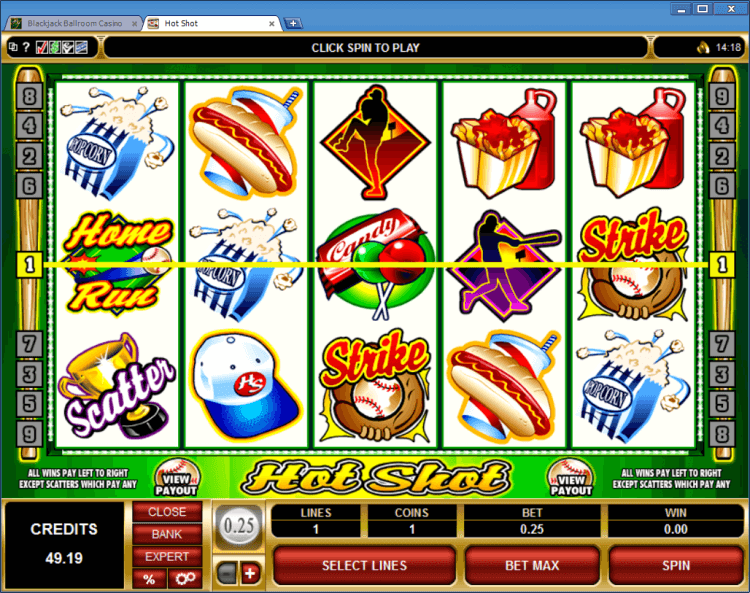 Winning paid out on the slot machine are depend on the symbols displayed on the payline, once the reels have come to a stop. The Wild Ball symbol is a wild symbol. This symbol appears only on the reels 2, 3 and 4. Doesn’t create its own winning combination. The Scatter Trophy symbol is a scatter symbol. This symbol completes a winning scatter combination when three or more appear on the reels.